When waste is managed at the source, it can provide millions of jobs and become a resource. It is established that the first step in any waste management system is segregation at the source. Understanding the concept of zero waste and decentralised waste management, Coca-Cola India launched the Source Segregation Programme in Gurugram, Haryana in collaboration with waste management enterprise, Saahas. A one-year-programme run with Saahas helped Coca-Cola understand the need to target the programme better so that better results could be achieved. Gurugram generates about 600 tonnes of municipal solid waste most of which is not being handled scientifically. If segregated at source, 90 per cent of this can be converted into useful resources. Coca-Cola India and Tetra Pak had earlier launched the Doh Bin programme in DLF Phase 4 of Gurugram from December 2013 to November 2014, with the objective of implementing a two-way segregation (wet and dry) in residential locations. The key lessons from this programme were to focus on apartments instead of independent houses, spread the programme across the city and do more campaigns through media and events in malls and other places to engage with people. This was done to provide knowledge on handling wet waste while adding in scope for a third category of waste which is hazardous and biomedical. Now, with the Source Segregation programme, Coca-Cola India and Saahas aim to spread awareness and implement the three-way segregation of municipal solid waste in apartments, schools and offices. Recycling is one of the cheapest and fastest ways to reduce greenhouse gas emissions. In order to reduce a ton of CO2 emissions, the cost of recycling is 30 per cent less than energy efficiency and 90 per cent less than wind power. It is also a labour-intensive model of waste management that is providing millions of jobs. Recycling is a global opportunity and helps create millions of jobs, according to the International Labour Organization (ILO). It estimates that 15-20 million persons around the world earn their living from recycling waste. The recovery of recyclables in India largely resides with the informal waste collectors who are collecting, sorting, trading and sometimes even processing waste materials. While it provides livelihoods to the most economically-challenged in society, their health and safety are neglected by all. 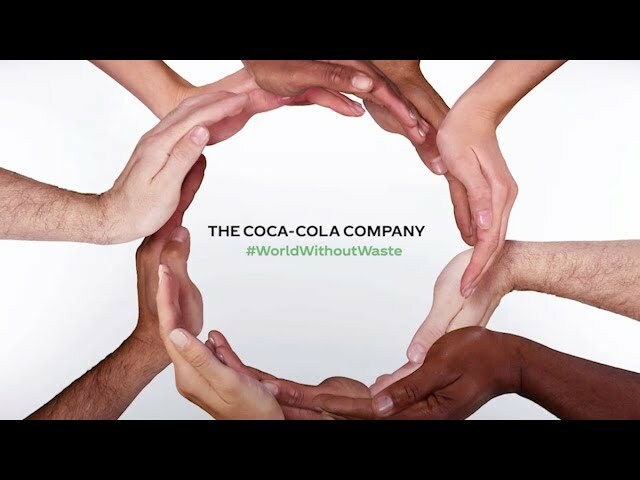 With this initiative, Coca-Cola aims for a better future and a more liveable environment for everyone. Coca-Cola is committed to creating sustainable and thriving communities through collaborative initiatives between the government, private sector and civil society. Their sustainability projects aim to further strengthen the positive impact on the community with a special focus on water, agriculture and recycling. For the other sustainability programmes that Coca-Cola is driving and is associated with in India, please see our Sustainability Report.